At a press conference with Aerion Corporation today, GE Aviation announced that it has completed the initial design of the first supersonic engine purpose-built for business jets. This new engine class, revealed today as GE’s AffinityTM is optimized with proven GE technology for supersonic flight and timed to meet the Aerion AS2 launch. 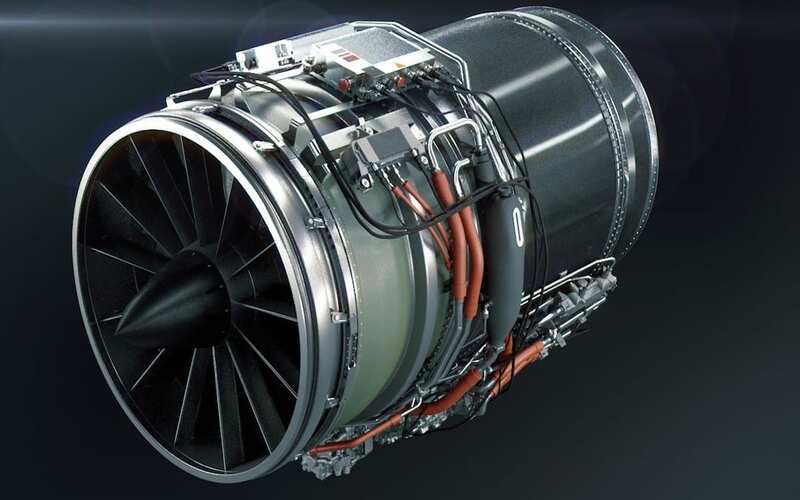 GE’s Affinity is a twin-shaft, twin-fan turbofan controlled by a next-generation Full Authority Digital Engine Control (FADEC) for enhanced dispatch reliability and onboard diagnostics. It is purposefully designed to enable efficient supersonic flight over water and efficient subsonic flight over land, without requiring modifications to existing compliance regulations. The engine is designed to meet stringent Stage 5 subsonic noise requirements and beat current emissions standards. Efficient performance throughout the full flight envelope with a high-altitude service ceiling of 60,000. A special, non-augmented supersonic exhaust system. A durable combustor with advanced coatings for sustained high-speed operation. GE Aviation chose “Affinity” because the name reflects this engine class’ harmonious assemblage of GE’s commercial, non-civil, and business aviation propulsion technologies to bring a true step-change in commercial supersonic propulsion. Its mach plus-enabling power is combined with the reliability of our best commercial engines. Going forward, this Affinity engine class represents the objective of closing the gap between now and next for both the operators and the passengers. Aerion is also collaborating on AS2 development with Lockheed Martin and Honeywell, both participants in today’s announcement. After two years of a preliminary study, GE Aviation and Aerion launched a formal process in May of 2017 to define and evaluate a final engine configuration for the AS2 supersonic business jet. A GE Project team, supported by a dedicated Engineering team, continue to work with Aerion in a formal and gated process. The next design review is targeted 2020, signaling the beginning of detailed design and test article production. GE Aviation has more than 60 years of experience in designing and building engines adapted for supersonic aircraft. Its first engine to push us into the supersonic era was the J79, which was introduced with Lockheed on their F-104 Starfighter in the mid-1950s.